Below you can view all the homes for sale in the Underwood Crossing subdivision located in Covington Georgia. 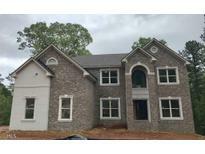 Listings in Underwood Crossing are updated daily from data we receive from the Atlanta multiple listing service. To learn more about any of these homes or to receive custom notifications when a new property is listed for sale in Underwood Crossing, give us a call at 404-998-4152. Stupendous Kitchen Island, Cabinets Galore, Granite Countertops, Tile Backsplash, Gourmet Stainless Steel Appliances And Hardwood Floors. 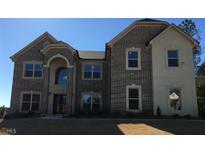 **Images 2-27 Are Stock Photos** MLS#8504029. Platinum Key Realty Of Georgia. Stupendous Kitchen/8 Ft. Island, Cabinets Galore, Granite Countertops, Tile Backsplash, 36In Vented Hood, 36In Cooktop With Gourmet Stainless Steel Appliances, And Hardwood Floors. MLS#8470040. Platinum Key Realty Of Georgia.